Newport Beach & Company, the destination marketing organization for the city of Newport Beach, has appointed Doug McClain as Senior Vice President & Chief Marketing Officer. Having nearly 25 years of hospitality brand leadership experience, McClain will lead a dynamic team of marketing professionals into the next level of progressive destination marketing for Newport Beach. McClain, as Senior Vice President and Chief Marketing Officer, will handle a diverse portfolio of responsibilities in marketing the city of Newport Beach, California. He will be the chief strategist, brand architect and integrated marketing leader for the umbrella organization and business units that include Visit Newport Beach Inc., Dine Newport Beach, Newport Beach TV, Celebrate Newport Beach and Enterprise Newport Beach. McClain possesses nearly 25 years of marketing expertise in hospitality, tourism and publishing industries. McClain has a degree in journalism from the University of Missouri-Columbia and an MBA from the University of Missouri-Kansas City. 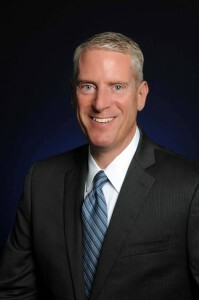 McClain began his career in journalism at the American Marketing Association and Advertising Age magazine and later transitioned to hospitality and tourism, having held key marketing positions at Rand McNally & Co., Preferred Hotels & Resorts Worldwide, Hyatt Hotels & Resorts, and Kansas City Convention & Visitors Association. More recently, McClain served as the Vice President of Marketing & Communications for Visit Tampa Bay. McClain is part of American Marketing Association (AMA), Travel & Tourism Research Association (TTRA), American Advertising Federation (AAF), Destination Marketing Association International (DMAI) and U.S. Travel Association. McClain has earned his Certified Tourism Ambassador (CTA) and will earn his DMAI Certified Destination Marketing Executive (CDME) this year.